No, you’re not being punished by some higher power or targeted by an evil squadron of giant underground worms. While there are several reasons concrete slabs can sink and settle, all reasons point back to environmental causes. Below, we explain – in layman’s terms – what concrete settlement is and what causes it. Regardless of what’s causing your concrete to settle, allowing it to continue can cause serious damage to the structure(s) it supports. Understanding the underlying causes can help you assess your problem and determine the right path forward. In case you’re not sure what the heck we’re talking about, let’s take a quick look at what concrete settlement is. 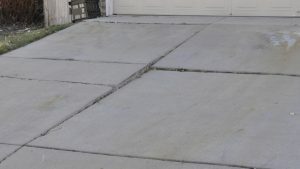 If you’ve noticed that sections of your garage, sidewalk, basement floor, driveway, patio, or front stoop are uneven, or that one side has sunken lower than the other, your concrete could be settling. When concrete settles, it puts the foundation of your structure at risk. It also becomes a safety hazard for you and others walking on your property. Below are a few of the most common causes of concrete settlement that Liftech sees in Colorado. Soil is added or moved during construction. When homes and commercial buildings are constructed, builders add or shift layers of soil to the foundation to ensure proper surfacing for the site. This soil can have a huge impact on your building’s structure and safety. Changing moisture levels causes soil to grow and shrink. As soil absorbs water and eventually dries out, it may grow or shrink in size. 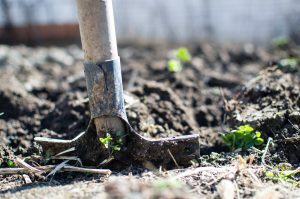 Since the soil under your home has nowhere to go but up, poorly compacted soil can elevate and shift different parts of your home every day by mere fractions of an inch. It’s important to note that every building will settle a little bit after construction. Settling problems occur when your structure is built on unstable or improperly compacted soil, because that means the structure could settle far more than you’d like. In some extreme cases, Liftech technicians have seen homes settle by as much as a foot or more. In addition, given the rapid rate of new building construction in the Denver metro area, Liftech has seen an increased rate of settlement issues caused by builders who aren’t compacting soil sufficiently before laying a structure’s foundation. Trees or vegetation are maturing close to your structure. 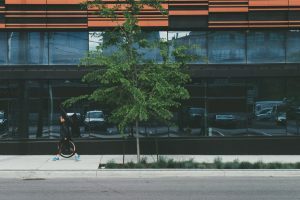 When a building, sidewalk, front stoop, or other concrete structure has been constructed in close proximity to maturing trees, bushes, or other types of vegetation, this can cause settling problems. The tree or vegetation’s changing water needs cause your soil to dry out and shrink. When trees and vegetation begin to mature, their underground root systems, along with their demands for water, continue to grow as well. The root system growing underneath your property pulls water from the soil around your structure, causing it to dry out and shrink over time. It’s important to keep in mind that foundations closer to the earth’s surface are more affected by soil dehydration than other basement-level foundations. In other words, the shallower your foundation, the more settling issues you may experience due to soil dehydration. Your soil becomes too wet due to flooding. When there is a buildup of moisture due to flooding, your foundation soil will slowly start to saturate. This can turn your soil into soft, weak clays and silts. When your soil becomes too moist, it loses its load-bearing capabilities, causing your foundation to sink and settle. 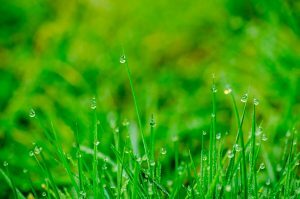 Your soil becomes too wet due to drainage issues. Leaks in your home’s water lines or other plumbing issues cause increased moisture within the soil of your foundation, creating poor surface drainage around your structure. Again, if your soil is too moist, it can’t hold the weight of your structure, and settling ensues. Your soil becomes too dry. If your home was constructed with soils that are high in clay content, they will most likely shrink as they lose moisture. This can greatly decrease the amount of soil under your home, causing the uneven levels we mentioned earlier – and causing your concrete slabs to settle and crack. Here in Colorado, shrinking and expanding soils are a real issue; our soil content is notoriously inconsistent and remarkably high in clay content. Get it inspected. Whether you’ve started to notice hairline cracks in your home’s foundation or you’ve decided you no longer want those judgmental looks from your elderly, dog-walking neighbor, it’s important to have your concrete inspected by a professional. They can help you understand the causes behind your concrete’s settlement, assess the potential impact, and weigh the costs and considerations of undertaking a repair. Consider repair options. Of course, we wouldn’t be bothering to write this blog if we didn’t think we were a fairly fantastic option to help you solve this particular problem. Liftech is proud to be a leading provider of concrete foundation and settlement repair throughout Denver, Colorado Springs, Boulder, and the entire Denver metro area. We specialize in a variety of concrete-raising services for basements, driveways, garage doors, porches, sidewalks, and highways. 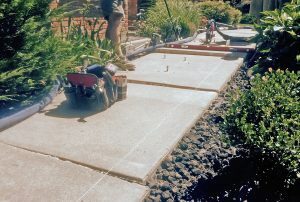 We use an innovative polyurethane injection technology to quickly and affordably repair your sunken concrete. We’re happy to come take a look and give you a free, no-obligation on-site estimate. Want to learn more about Liftech’s innovative, efficient, and affordable concrete-raising techniques? Let us know!